Free school supplies give your family budget a much-needed break and get the school year started off right. Do a little homework to find out how you can get everything your kids need, from pencils to backpacks, at no charge and regardless of your family's income. Start with these eight ways to get free school supplies for your kids. Helping people is the reason many organizations like the Boys and Girls Clubs of America, United Way, and The Salvation Army exist. These nonprofits have distributed millions of dollars worth of free school supplies to children and are typically needs-based organizations. Many times, organizations team up to throw a back-to-school festival where kids can get backpacks stuffed with free school supplies. Call the organizations close to you to see if they are holding a free school supply event. Even if they're not, they still may be able to help fulfill your child's school supply list from their local warehouses. Print and broadcast media are the pulses of your city. Newspapers, radio and TV stations, and city magazines know exactly when and where you can get free school supplies to help cut your back-to-school spending. Companies holding free school supply giveaways notify these media outlets well in advance so they can get free news coverage. These types of events are usually held for everyone in your community and don't require income-based qualifications. It's simply a giveaway for anyone who shows up at the event. Call any media outlet's newsroom and ask for the assignment editor or education reporter. He should have any school supply-related event information at his fingertips and that particular media outlet may be holding its own free school supply promotion too. 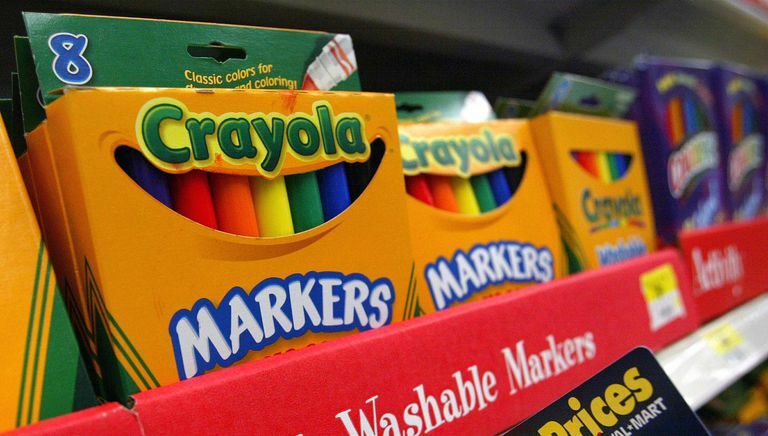 School supply lists are long and the items on them can be pricey. Your school administrators know this. Make your local school district aware of your situation. You may have to fill out a couple of forms to prove you don't have the resources to purchase all of the school supplies on the list. But if you're approved, your child will be able to get everything she needs to go back to school. Backpack programs help kids get all of their school supplies for the year absolutely free. Most backpack programs are offered to children of low-income households or those who are going through difficult times. For example, Office Depot's National Backpack Program has helped millions of kids since 2001. The Kids in Need Foundation has two programs, one that provides kids with school supplies through community-sponsored events and one that provides school supplies to children affected by natural disasters. For over 10 years, Homeless Children's Education Fund has distributed thousands of backpacks to shelters so that homeless kids can have all of their essential school supplies for the first day of school. Churches in your area usually work together to help kids get free school supplies. Call any church and tell them your needs. Many churches organize school supply drives during the back-to-school time so they can have supplies on hand for children who need them. If the church isn't participating, the church secretary should be able to put you in touch with a church that can help. Your local chamber of commerce may be throwing a back-to-school event where free school supplies will be handed out. Check your Chamber of Commerce's website for an events calendar and follow up with a call to verify the dates and times. If your city isn't holding an official event, they may be able to put you in touch with businesses who've expressed interest in giving away school supplies to local children. Keep a close eye on sale papers. In the weeks and days leading up to the first day of school, you'll often find items that are free after a rebate. Sometimes those rebates are instant, so you won't have to pay for your child's school supplies up front and then have to wait for a check to arrive in the mail. Notebooks, paper, pens, and even backpacks can be free of charge on the spot as you finish up your back-to-school shopping. Your kids probably didn't use all of their school supplies from this past school year. But now they're moving on to a new grade and those school supplies may not be on this year's list. Host a school supply swap. Some schools will allow you to hold a school supply swap in a classroom or at least put up a flyer during registration to advertise your swap. The rules are simple and you set them. Bring your new or gently used school supplies and swap them for something else. You can even include school uniforms or other school-appropriate attire in your event so that kids can swap clothing for free.